A match made in hypercar heaven? It sure looks like one. 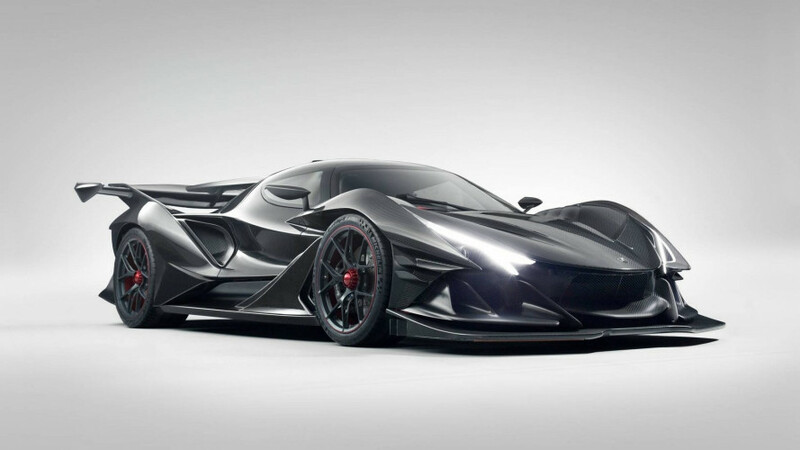 Apollo Automobili has announced it has teamed up with HWA AG to put the finishing touches on the Intensa Emozione (IE). In case HWA doesn’t ring a bell, it was founded back in 1988 as a spin-off from AMG and the company was named after 81-year-old Hans Werner Aufrecht, none other than AMG’s founder in 1967. HWA was essentially the brains behind the legendary Mercedes CLK GTR race car and it was also in charge of manufacturing the road-going version in both coupe and roadster flavors. 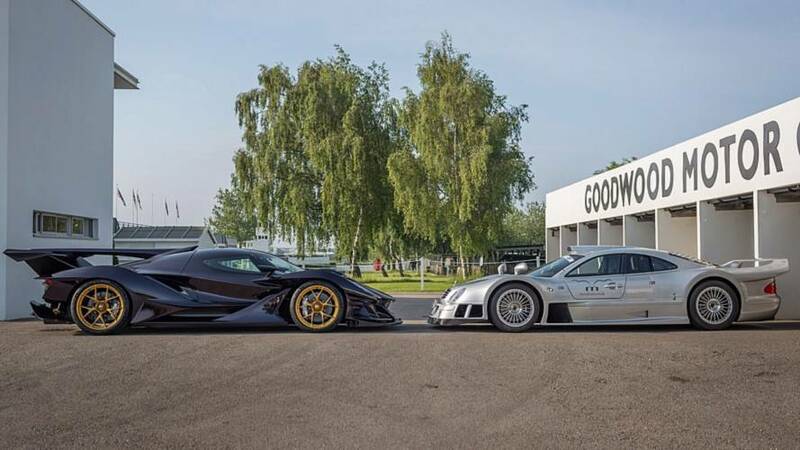 There was also the CLK GTR Super Sport powered by the same 7.3-liter V12 AMG one found in the immortal Pagani Zonda, among other Mercedes models. Speaking of a V12 engine, the Apollo IE has one with a displacement of 6.3 liters to push out a meaty 780 horsepower and 560 pound-feet (759 Newton-meters) of torque without resorting to forced induction. Despite the massive engine, weight is at a remarkably low 1,250 kilograms (2,756 pounds) thanks to an abundance of carbon fiber for the body and chassis. 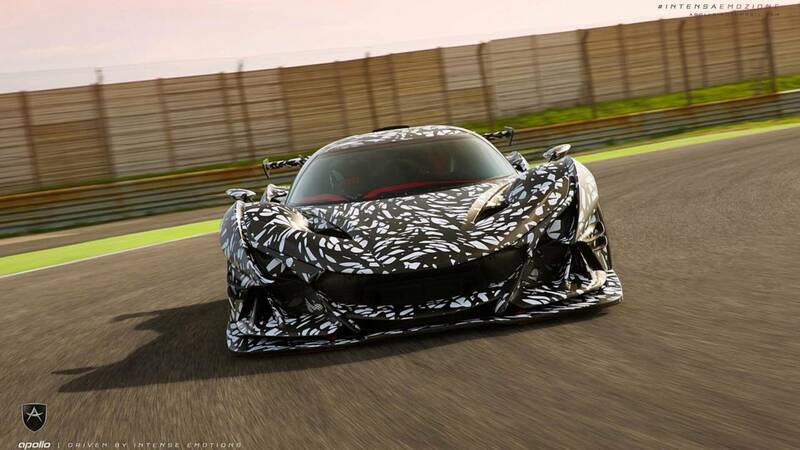 Billed by its creator as being the “only modern day GT1-inspired car,” the Intensa Emozione will be perfected by HWA to make sure it will live up to the hype. With more than 20 years of experience in the development of both race and road cars, the AMG spin-off will apply its expertise in areas such as safety, powertrain calibration, reliability, and thermal dynamics. Development of the Apollo IE will come to an end later this year and customer deliveries are slated to commence in 2019. As you may recall, only ten examples of the $2.6-million, 207-mph hypercar will ever be built. Those fortunate enough to claim one will be given the opportunity to enter the dedicated Apollo Time Attack series and also call dibs on the Arrow supercar coming next year.